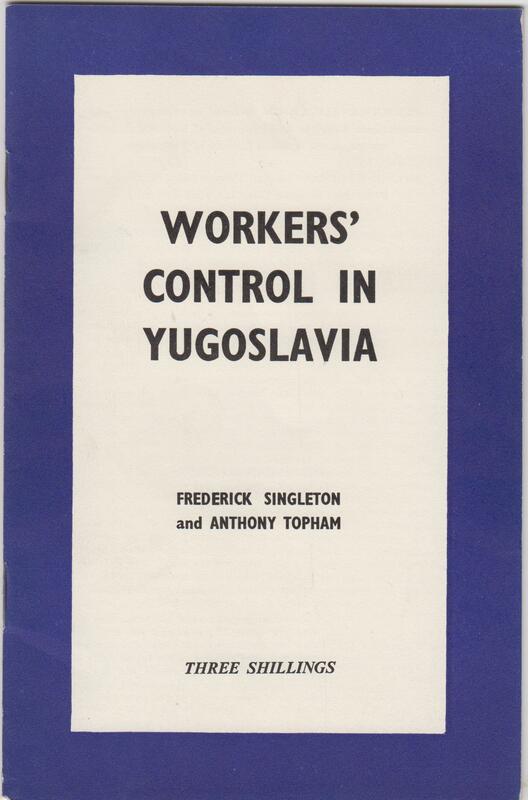 In parts 1 and 2 of this post I described the contents of the above Fabian pamphlet on Workers’ Control in Yugoslavia, by Frederick Singleton and Anthony Topham, published in 1963. The authors attempted to show how, despite a very lukewarm attitude to the idea at the time, workers’ control could be a viable possibility for British industry. The authors’ noted that the very limited gesture towards worker participation in the nationalised industries had not gained the enthusiasm of the workforce, and in the previous decade the Tories had had some success in attacking the nationalised industries and nationalisation itself. 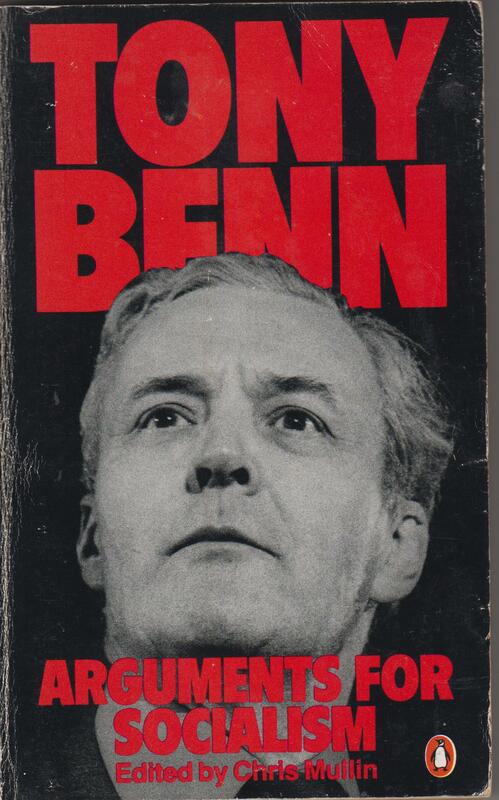 They argued that there was a tradition within the British Labour movement for workers’ control in the shape of the Guild Socialists and Industrial Unionism. 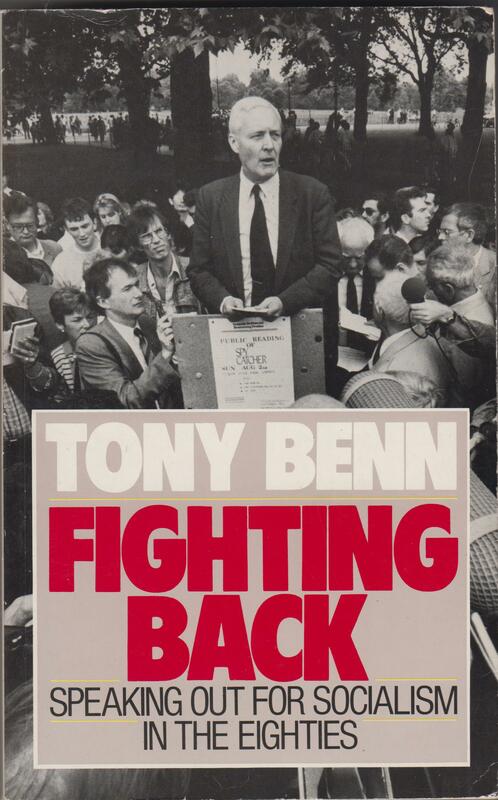 The Fabians, who had largely advocated central planning at the expense of industrial democracy, had nevertheless put forward their own ideas for it. Annie Besant, the Theosophist and feminist, had argued that the workers in an industry should elect a council, which would appoint the management and foreman. This is quite close to the Yugoslav model, in which enterprises were governed through a series of factory boards elected by the workers, which also exercised a degree of control over the director and management staff. The pamphlet was clearly written at a time when the unions were assuming a role of partnership in the nationalised industries, and had agreed to pay pauses. These were a temporary break in the round of annual pay rises negotiated by the government and management as a means of curbing inflation. This actually runs against Tory rhetoric that Britain was exceptionally beset by strikes – which has been challenged and rebutted before by British historians of the working class – and the unions were irresponsible. The role of the factory or enterprise council in taking management decisions, rather than the trade unions in Yugoslav worker’s control also means that the trade unions could still preserve their independence and oppositional role, working to defend the rights of the workforce as a whole and present the grievances of individual workers. The two authors acknowledge that there are problems of scale involved, in that the Yugoslav system was obviously developed to suit conditions in that nation, where there was a multiplicity of small enterprises, rather than the much larger industrial concerns of the more developed British economy. But even there they suggest that these problems may not be insuperable. Management now consists of selecting for one out of a range of options, that have already been suggested by technical staff and planners, and the experience of the co-operative movement has shown that firms can be run by elected boards. Much of the idea that management can only be effectively performed by autocratic directors or management boards may actually be just a myth that has developed to justify the concentration of power in their hands, rather than allow it to be also held by the workers. They also note that the Yugoslav model also shows that the participation of workers in industrial management can lead to greater productivity. Indeed, the South Korean economist and lecturer, Ha-Joon Chang, in his books has shown that those industries which are wholly or partly owned by the state, or where the workers participate in management, are more stable and long-lasting than those that are run purely for the benefit of the shareholders. This is because the state and the workforce have a vested commitment to them, which shareholders don’t have. They will abandon one firm to invest in another, which offers larger dividends. And this has meant that some firms have gone bust selling off valuable assets and downsizing simply to keep the shares and, correspondingly, the managers’ salaries, artificially high. They also present a good argument for showing that if workers’ control was implemented, the other parties would also have to take it up and preserve it. At the time they were writing, the Liberals were talking about ‘syndicalism’ while the Tories promised an Industrial Charter. This never materialised, just as Theresa May’s promise to put workers on the boards of industry was no more than hot air. But some indication of how popular genuine worker participation in management might be is also shown, paradoxically, by Thatcher’s privatisations in the 1980s. Thatcher presented herself falsely as some kind of heroine of the working class, despite the fact that she was very solidly middle, and personally had nothing but contempt for the working class and working class organisations. Some of that image came from her talking about her background as the daughter of a shopkeeper. Another aspect was that in her privatisation of the utilities, she tried to persuade people that at last they too could be shareholders in industry. This was not only to the general public, but also to workers in those industries, who were offered shares in the newly privatised companies. This experiment in popular capitalism, just like the rest of Thatcherism, is a total colossal failure. Newspaper reports have shown that the shares have largely passed out of the hands of working class shareholders, and are now back in the hands of the middle classes. As you could almost predict. But the process does show how what popularity it initially had depended on Thatcher stealing some of the ideological guise for privatisation from Socialism. She had to make it seem that they would have a vested interest in their industries, albeit through holding shares rather than direct participation in management. She had no wish to empower the workers, as is amply shown by her determination to break the unions and destroy employees’ rights in the workplace. But her programme of popular capitalism depended on making it appear they would gain some position of power as individual shareholders. The performance of the utilities following privatisation has shown that they are not better off under private management, regardless of the bilge spewed by the Tories and the Blairites in the Labour party. Under private management, these vital industries have been starved of investment, while the managers’ salaries and share price have been kept high again through cuts and increased prices. It is high time they were renationalised. And the nation knows this, hence the popularity of Jeremy Corbyn’s Labour party. And it’s possible that, if it was done properly, the incorporation of a system of worker participation in the management of these industries could create a real popular enthusiasm for them that would prevent further privatisation in the future, or make it more difficult. Who knows, if it had been done properly in the past, perhaps we would now have a proper functioning steel and coal industry, as well as the other vital services like rail, electricity, gas and water.